Bram Stoker’s novel was a mixed blessing for Romania. It attracted tourists, but the legend was at odds with communist ideals and made a villain of a national hero. 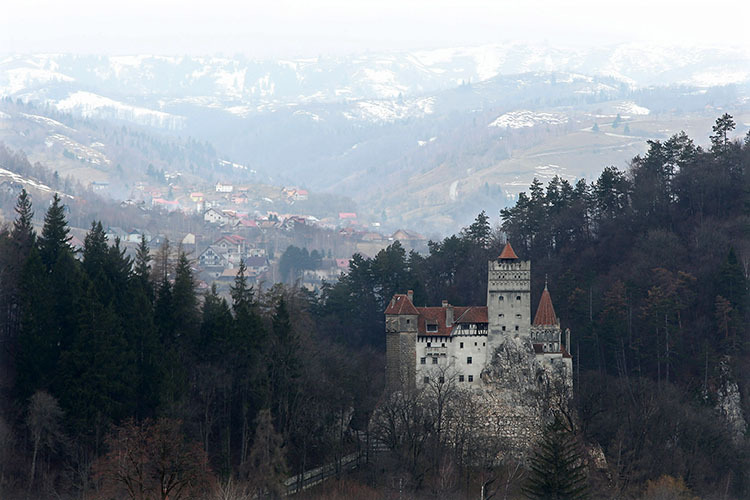 Transylvania – a large region comprising much of central Romania – is near-synonymous with one word: Dracula. Bram Stoker’s novel, published in 1897, tells the story of a predatory vampire who lives in a ruined castle, high in the Carpathian mountains. Most of the action unfolds in Victorian London, but it is the description of Transylvania – dark, wild, untouched by science and modernity – that is the novel’s most evocative achievement. Since Stoker had never been to Transylvania his portrayal of the region was largely the work of imagination. Nevertheless, his depiction of a frightening region on the edge of Europe stuck. The novel gave rise to a vampire subculture, still alive today, and at its centre stands Transylvania, the natural home for the supernatural. Romania has benefited from the novel and its film adaptations. Tourist numbers increased from just 5,000 in 1956 to 103,000 in 1960. By 1970, they had reached 2,300,000. Since the 1960s fans of Dracula have undertaken pilgrimages to the region, seeking traces of the Count amid the wild landscapes. Romania, then a communist state, allied to the Soviet Union since the Warsaw Pact of 1955, was keen to attract western tourists, who generated hard currency used to import western technology. There were also political motivations: tourism allowed Romania to demonstrate its ideological achievements and promoted friendly relations abroad. During the 1960s, Romania’s communist leader, Nicolae Ceauşescu, distanced Romania from the Soviet Union. In 1968 he publicly denounced the Warsaw Pact invasion of Czechoslovakia. Romania was eager to present itself to the West as an independent communist country and tourism was to play a role. Thus, the state made travel easy: border formalities were minimal and visas were inexpensive, with few restrictions once inside the country. Yet those Dracula fans who did visit Transylvania seeking the Count were disappointed. Castle Dracula has never existed outside Bram Stoker’s imagination. Tourists frequently discovered that Romanians knew nothing about Dracula. The novel was not published in Romania until 1990 (although parts were serialised in the popular magazine Realitatea ilustrata during the 1930s). Romanians were bewildered when asked for directions to Castle Dracula or about vampires in Romania. In 1972 a New York-based travel company, General Tours, launched the first Dracula-themed tour, ‘Spotlight on Dracula’. Unprepared for a tour which advised visitors to stock up on garlic to ward off evil, Romania’s tourism minister Ioan Cosma established a group to investigate how Romania should respond to growing interest in Dracula. It presented a dilemma. Dracula provided the country with a unique selling point. 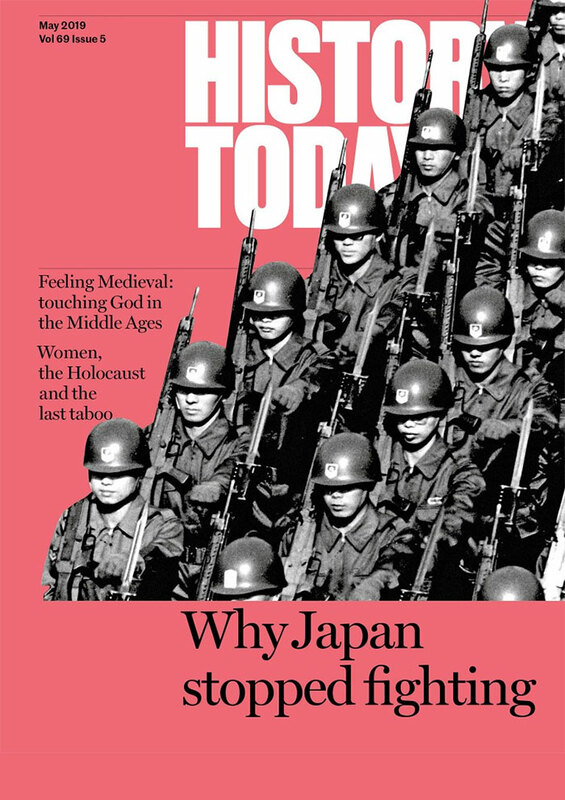 Yet tourism based on the supernatural was fundamentally at odds with ‘scientific’ communism; superstitious beliefs were part of a discredited past that communism was determined to sweep away. ‘Dracula tourism’ relied on a conception of Transylvania as a sinister, backwards place, discordant with Romania’s image of itself as a modern, developing and industrialised country. There was a further problem. Romania had its own historical Dracula, the 15th-century ruler, Vlad III (‘Vlad the Impaler’), a notoriously violent prince known for impaling his enemies on wooden stakes. Born in Transylvania, Vlad sometimes signed himself as Drăculea, meaning ‘son of the dragon’ as his father, Vlad II Dracul, had been invested into the Order of the Dragon for his gallantry when fighting the Ottomans. Despite Vlad’s reputation, nationalist historians during the 19th and 20th centuries lauded him as a strong leader who defended his country against external threats during turbulent times. As Ceauşescu increasingly embraced nationalism, Romania’s medieval rulers were presented as precursors of his independent foreign policy. Then, in 1972, Radu Florescu and Raymond T. McNally published In Search of Dracula, in which they claimed that Stoker used Vlad as the model for the Count, creating a new reason for fans to travel to the places associated with the ‘real’ Dracula. Here lay the problem. No country would be pleased to see one of its national heroes represented as a vampire. In 1973 Romania’s ministry of tourism developed its own tour, Dracula: Legend and Truth, themed around the life of Vlad. 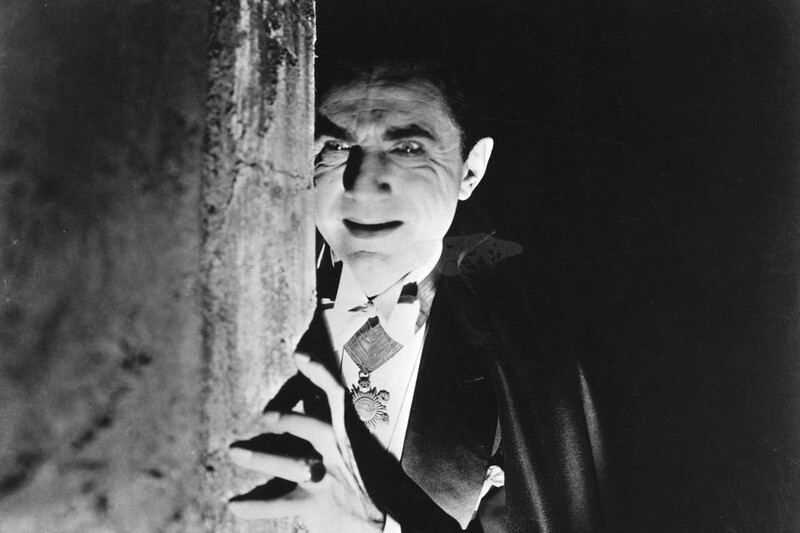 It was overtly propagandist and intended to firmly draw a line between the historical Dracula and the fictional vampire. The ministry had decided that Dracula could not be part of Romania’s tourist offerings, reluctantly tolerating such tourism but not encouraging it. This remained the official position until the collapse of the communist regime in December 1989.
was promoted as such by package tours. In the early 1970s one local tourism leader took matters discretely into his own hands. His actions reveal much about the balance between central and local power in the communist state. The Castle Dracula of the novel is located in what is now the county of Bistriţa in north-east Transylvania. The head of Bistriţa’s tourist office, Alexandru Misiuga, was aware that western tourists were visiting his county in search of Dracula although, like most Romanians, he knew little about the novel. He raised the matter with the county head of the Securitate, Romania’s internal security service, Ion Mânzat, who, as a child, had read the interwar serialisation of Dracula and, having been born in the Bârgău Pass (the castle’s fictional location), paid it particular attention. In Dracula, the English solicitor Jonathan Harker spends a night in Bistriţa at the Golden Crown Hotel. A new hotel was under construction in Bistriţa and Misiuga realised that naming it the Golden Crown would draw fans. This was a matter for the local communist party, which was unlikely to accept a name with royal associations. Yet Misiuga eventually persuaded Adalbert Crisan, the local party secretary, to approve ‘The Golden Crown’ (Coroana de Aur), arguing that Dracula embodied the battle of good against evil (omitting mention of vampires). The hotel opened in April 1974 and, although its design did not specifically allude to Dracula, its menu was based on Harker’s dinner in the novel. Buoyed by success, Misiuga determined to build another hotel in the exact location of the fictional castle, but obtaining support for a second hotel in Bistriţa was difficult. The ministry of tourism repeatedly refused requests for funding. He sought the help of Crisan and Mânzat and between them they devised a plan. Ceauşescu was a keen huntsman, visiting Bistriţa for shooting parties. After a day’s hunting they raised their plan for a hotel in the Bârgau Pass and Ceauşescu replied: ‘So what’s stopping you from building it?’ With such support, Misiuga was able to demand funding, adroitly ensuring that nobody in Bucharest knew more about the hotel than was necessary. The project was presented as accommodation for tourists en route to the painted monasteries of Bucovina. It opened as Hotel Tihuţa in 1983, resembling a castle and decorated with animal skulls. Naming the hotel after Dracula was impossible during the 1980s, when the state was becoming increasingly hostile to the Dracula phenomenon. Despite only being renamed Hotel Castel Dracula following the fall of communism, the hotel quickly became popular with Dracula fans, who found what they had long been seeking. High in the Carpathians, fiction had become reality. How did Misiuga succeed in building two Dracula hotels at a time when the state forbade such an act? The answer lies in the interplay between central and local power in communist Romania. Communist regimes were thought to be all-seeing, but this was not the case. In places like Bistriţa, far from Bucharest, the state was weak. Entrepreneurs like Misiuga could work at the margins of state power to pursue personal agendas. He took advantage of ignorance among the party hierarchy, while presenting his initiatives as consistent with economic policy. Bistriţa county became the centre of Dracula tourism in Transylvania – but so unobtrusively that the central authorities were unaware of it. Duncan Light is senior lecturer in tourism at Bournemouth University. This article was originally published in the May 2017 issue of History Today with the title 'Romania's Problem with Dracula'.